I am working on a reskin of the Firefly game for the Star Wars universe (using a Risk game board), and rather than creating and printing job cards, I am experimenting with using the Flexidice randomizer (from the Google App Store-see previous post). 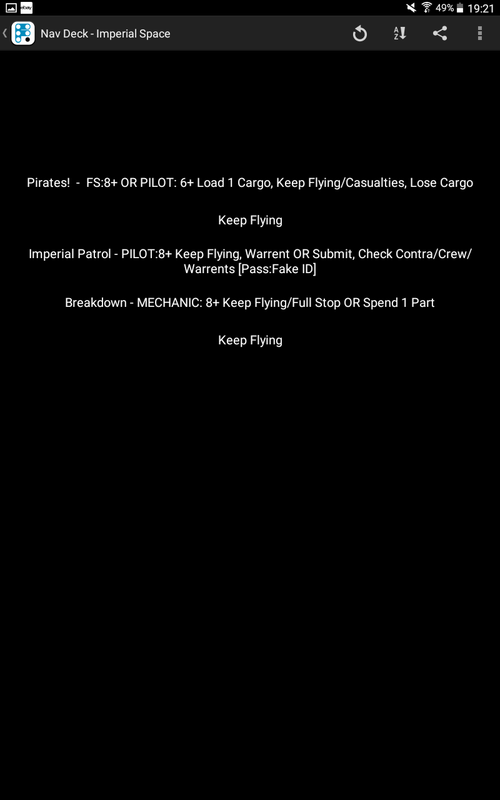 Below are some of the job sets I generated (draw three, select two) for different contacts in the Star Wars galaxy. 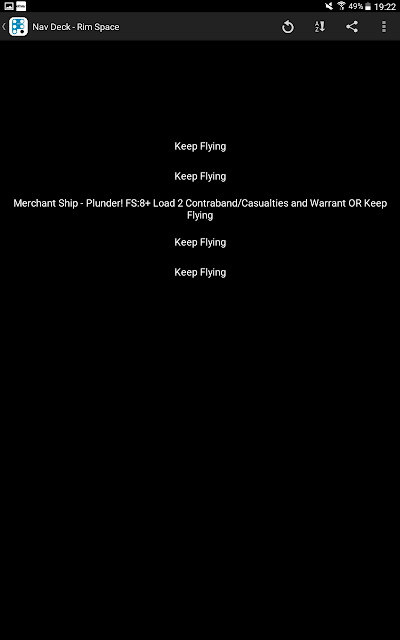 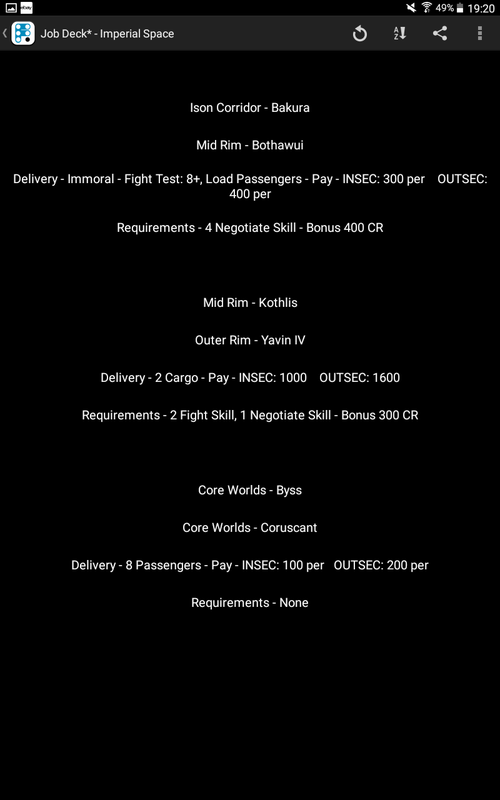 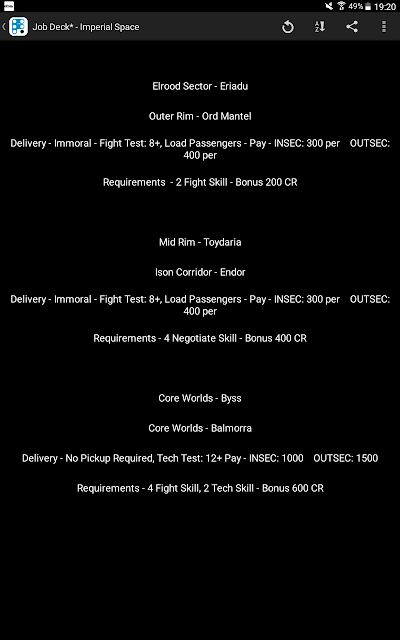 Due to the random nature of the generator, I included pay grades for whether the mission is local (INSEC - in the same sector as the player) or distant (OUTSEC - in a different sector), The generator also includes job skill or profession requirements as well as bonus information. I still have to add Mischief cards (my take on Firefly Misbehavin' cards) before I try it out. 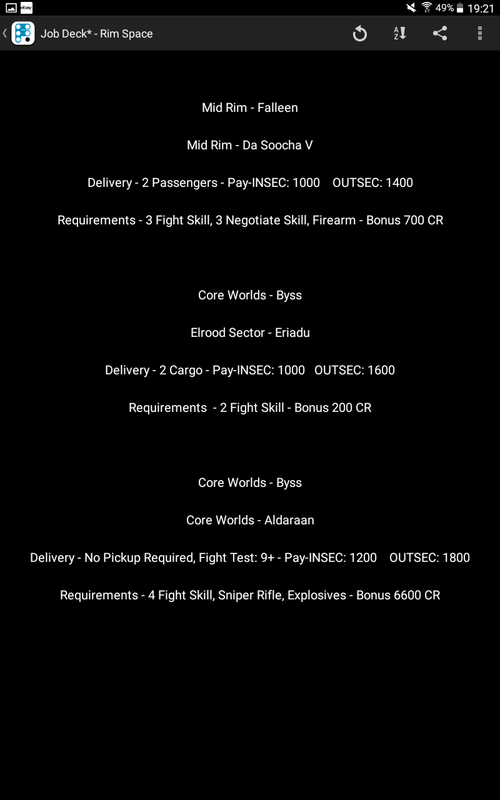 Again, I can see lots of potential uses for Flexidice in Firefly variants. Mine are rather extreme, but the app can do a lot for the smaller additions as well.